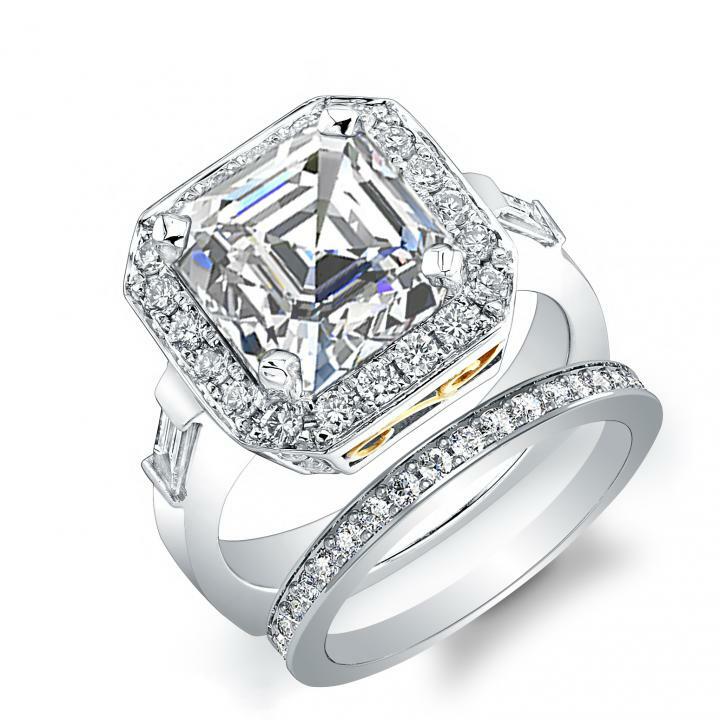 Searching for the best design your own engagement ring style for your bride-to-be can be a challenge, but DiamondMansion.com's superb collection of elegant halo settings and natural, un-enhanced diamonds makes it easy to tailor the perfect engagement ring! Elegant Gold/Platinum forms this engagement ring ready to set your chosen center diamond, and features .90 ctw diamonds accenting the Channel setting. 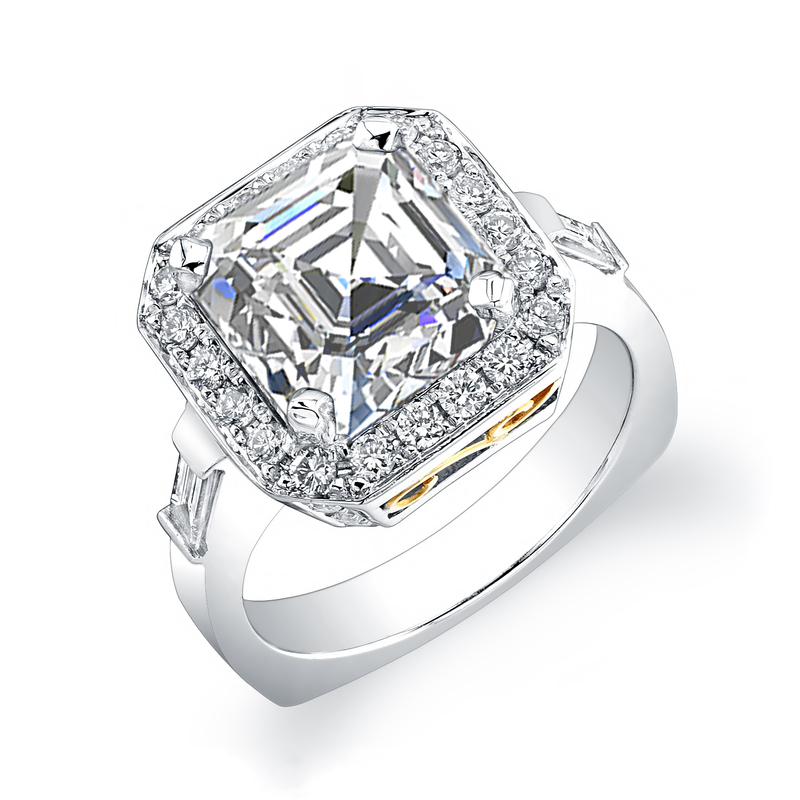 This striking Halo setting is designed to hold a Cushion center diamond.